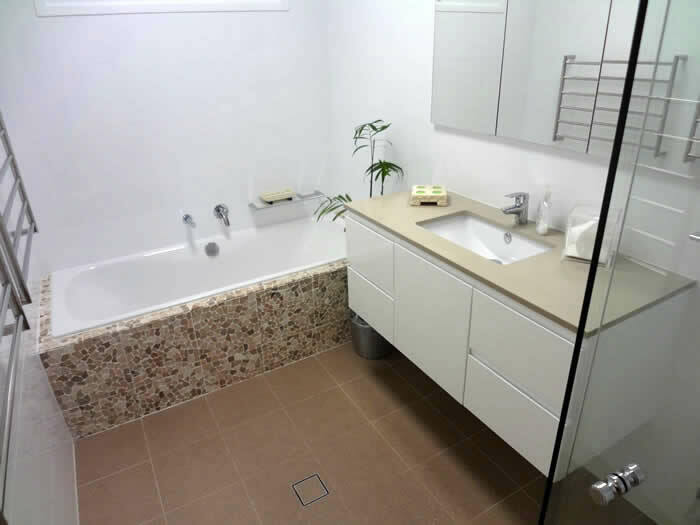 Residential main bathroom renovation in St Ives with feature Tiles and a free standing bath. Heated towel rack and herring bone feature wall. Tile insert linear drain to give the shower a seamless look. 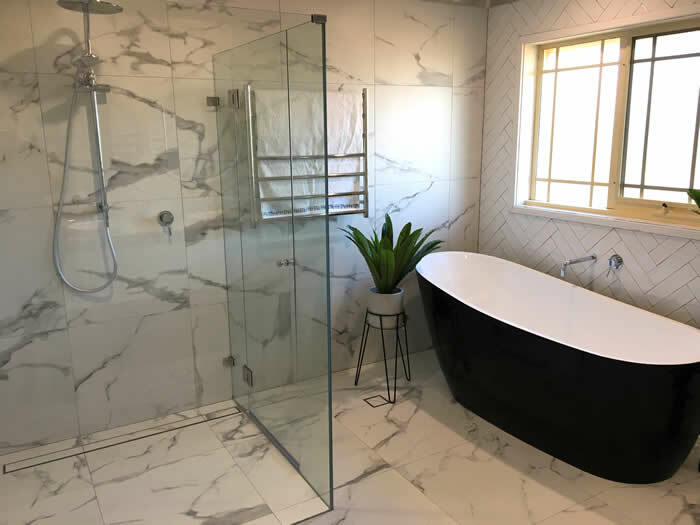 Residential bathroom renovation in Killara with chevron while marble mosaic feature wall with a marble stone surround niche. 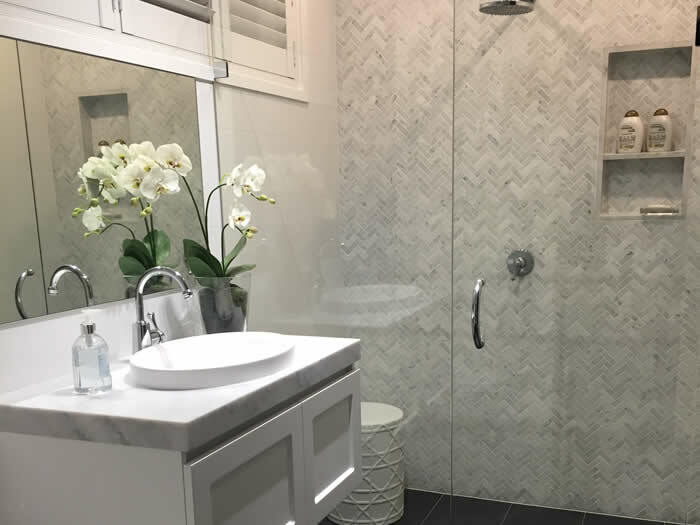 Residential bathroom renovation in Turramurra with custom wall hung vanity, Caesarstone benchtop, polyurethane cupboard and drawers with finger groove handles, undermounted square bowl and mixer tap. Mirrored shaving cabinet, smart tile floor waste, bath with feature stone mosaic style tiles, mixer tap and shelf.